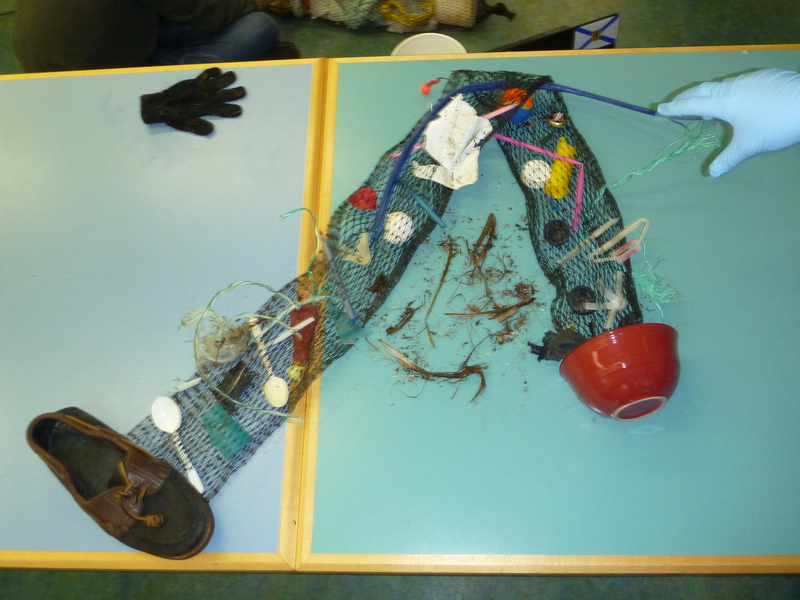 Last week first year Marine Science students spent one block picking up garbage from Esquimalt Lagoon and a second block producing artwork from the garbage that was collected. 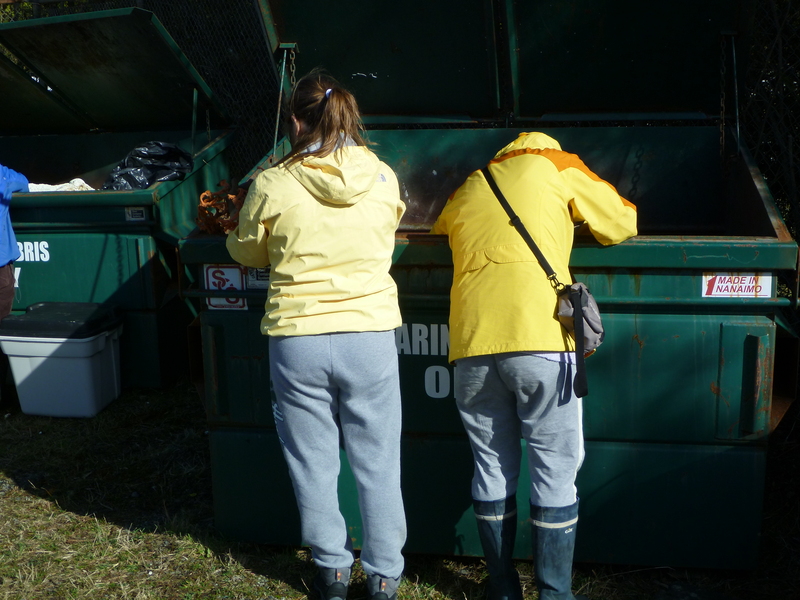 Back at the lab students sorted and quantified the garbage. 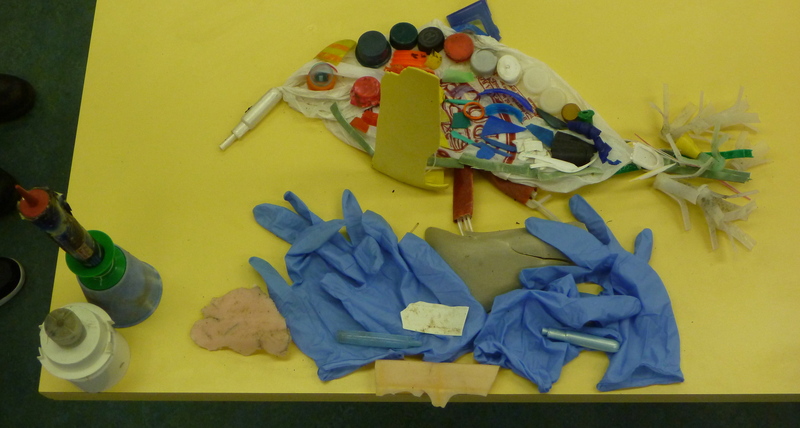 Laura’s collection on 22 Feb.
Then they produced pieces of art with their garbage. 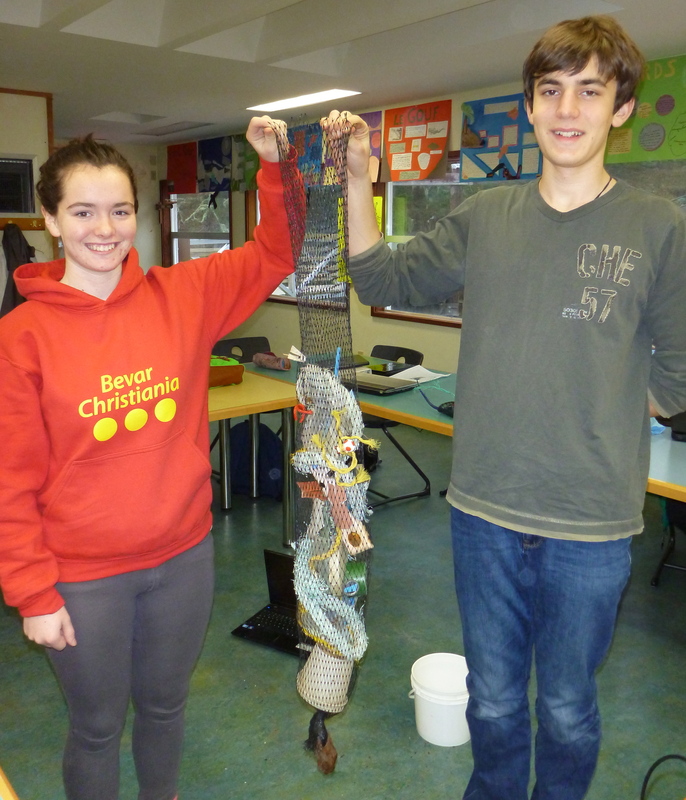 See Flickr page for more photos. 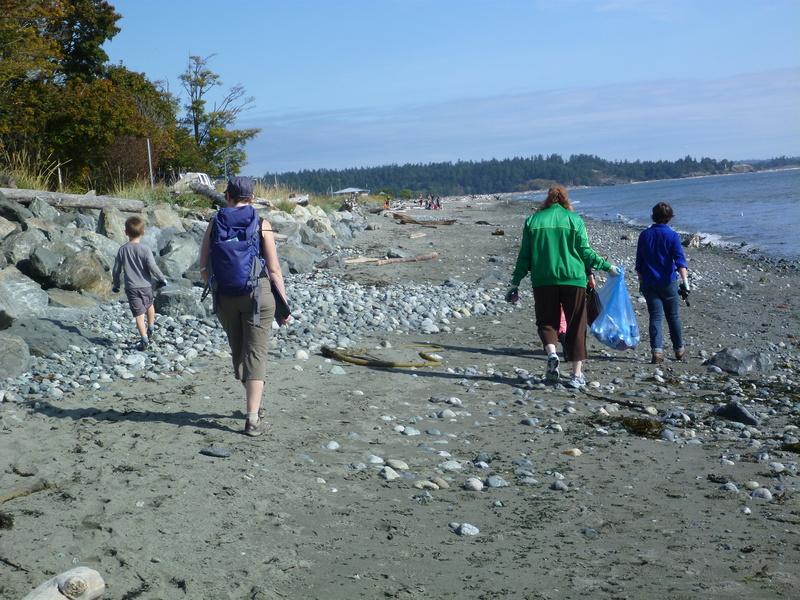 It was a small but dedicated group of Pearson College folks who joined the Great Canadian Shoreline Cleanup at Esquimalt Lagoon on the morning of Sunday 13 September (the same day as Metchosin Day!). 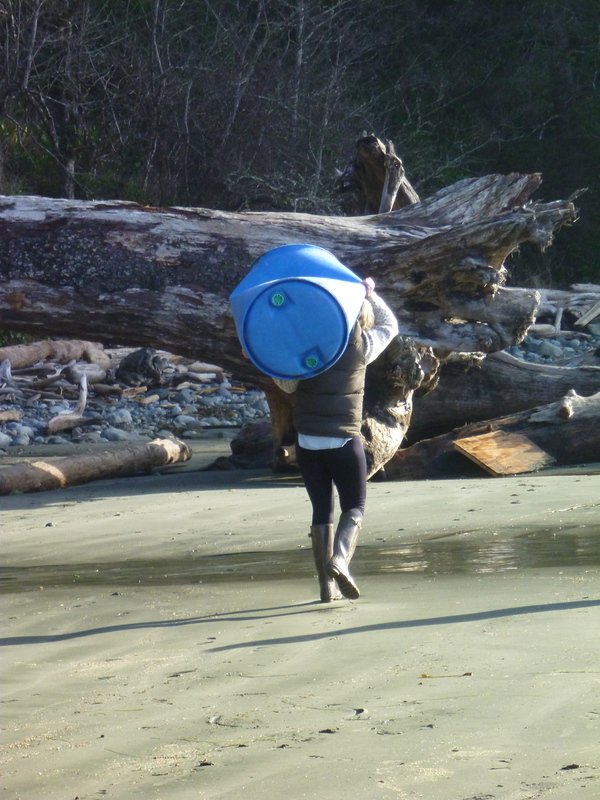 Thanks Catriona, Maya, Karena (for beach cleaning & driving), Simon, Devin & family! 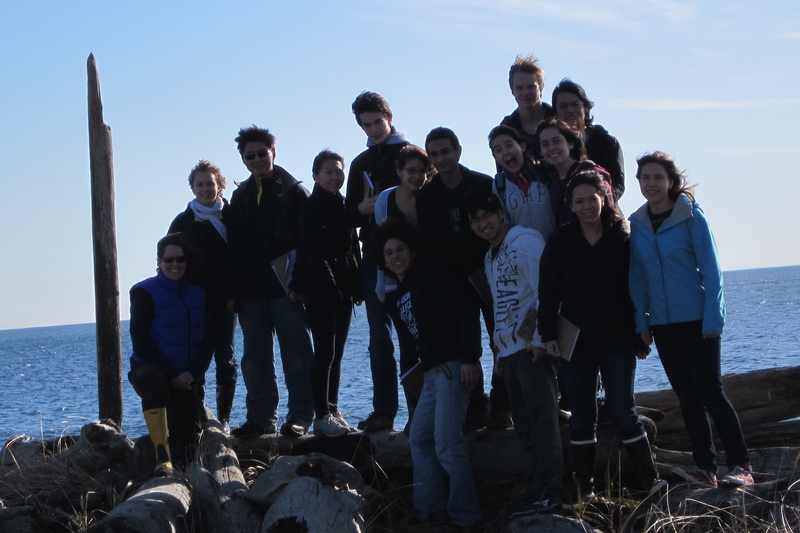 While it is not officially a Marine Science project, the week that Kenta has planned and he and his team are carrying out is very applicable to topics we cover in the course (and there are two Marine Science students participating!). 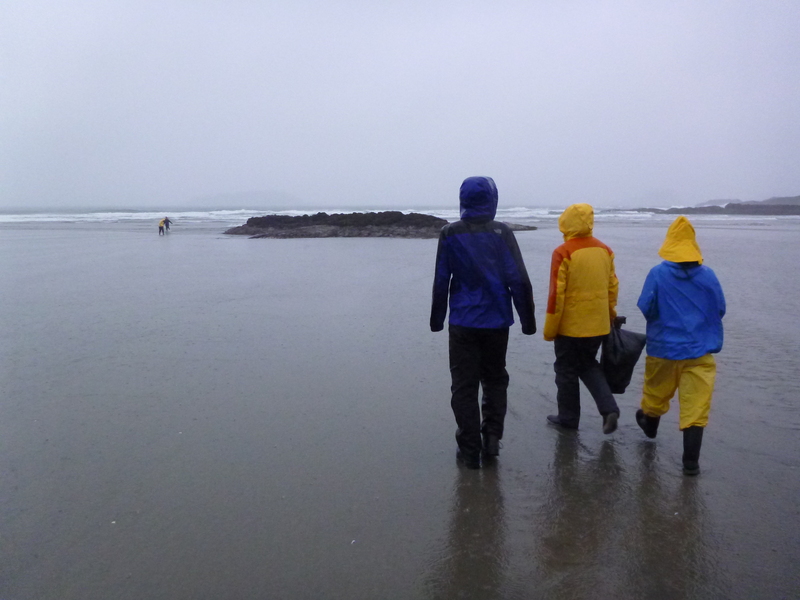 Very soon after arriving in Tofino on Sunday afternoon, we (Kenta, Helen, Amalia, Cassandra, Shuli & Laura) went to Chesterman Beach in the rain and wind. 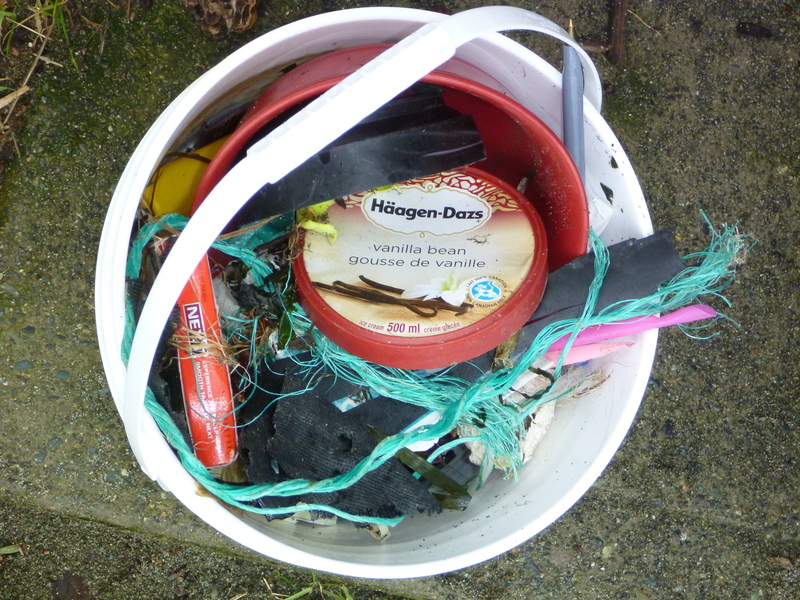 Despite the weather, we did collect some marine debris. 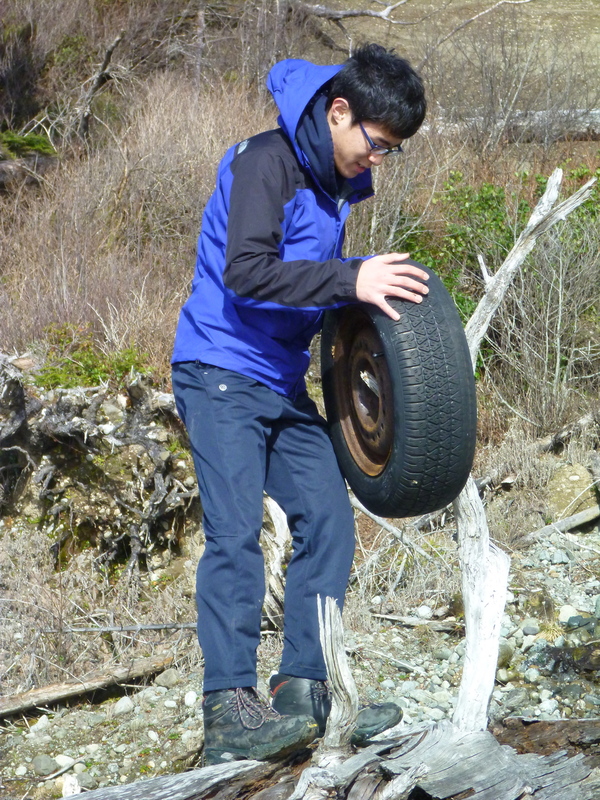 Kenta’s focus is on Japanese debris – he has high hopes of finding debris from the tsunami of 11 March 2011. 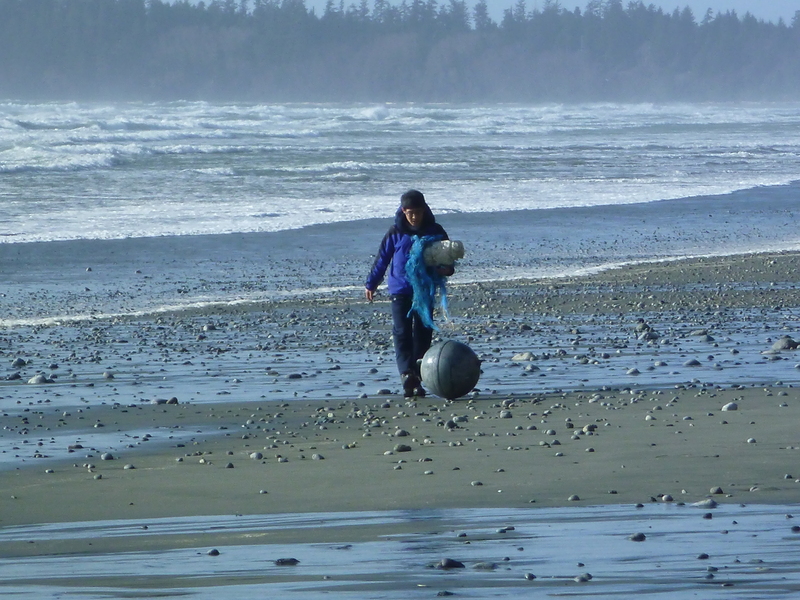 His intention is to collect marine debris and make artwork that he will exhibit both in Canada and Japan. 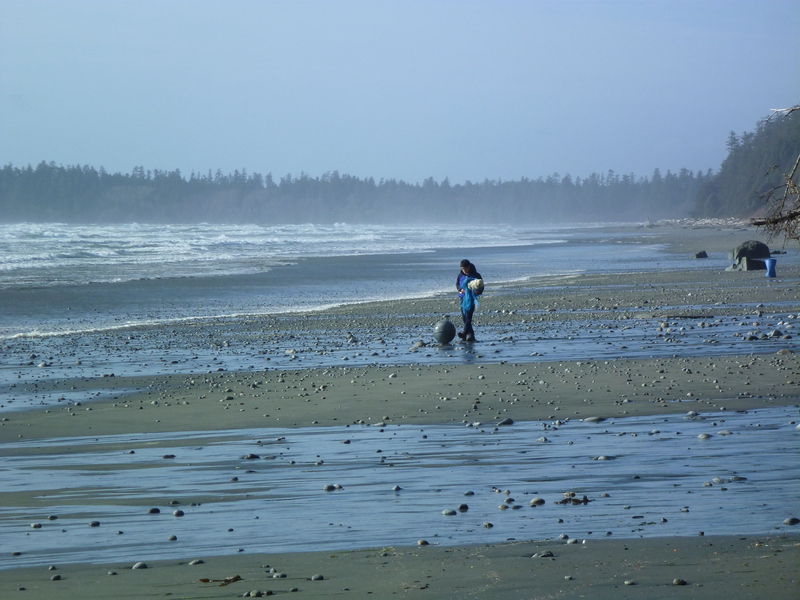 Monday morning we went to Ucluelet and met with Karla Robison, Manager of Environmental & Emergency Services for the District of Ucluelet. 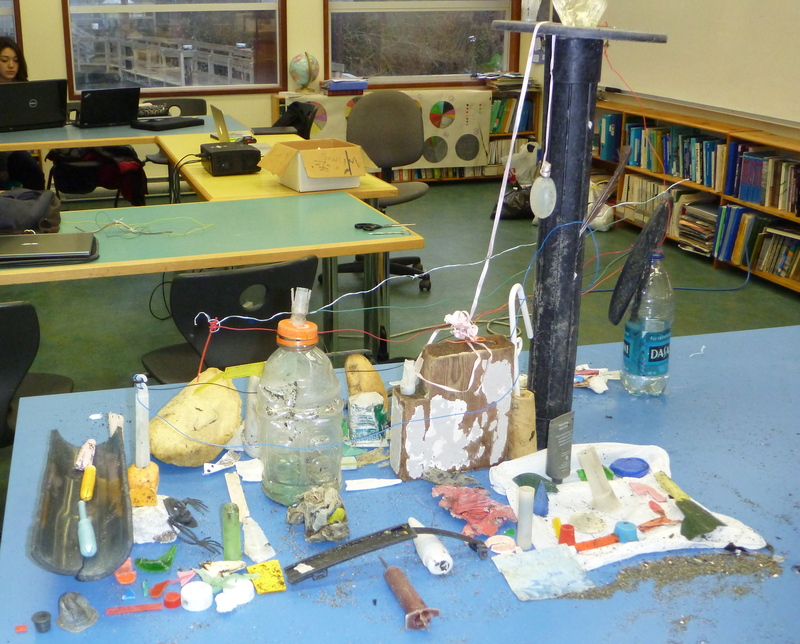 She presented a lot of what she knows about Japanese tsunami debris then took us to the Public Works Yard where marine debris from many beach clean-ups is being stored. 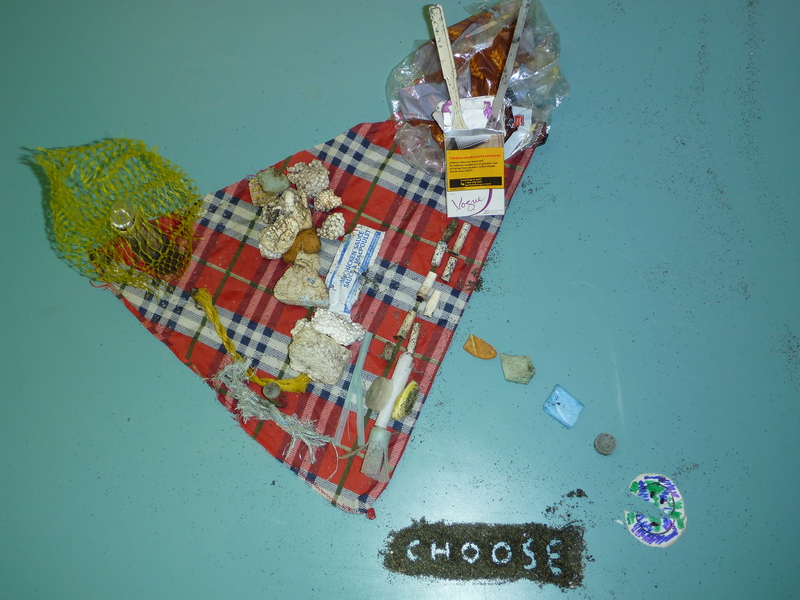 Karla gave the students permission to sort through the debris and take anything that they could use in their artwork. 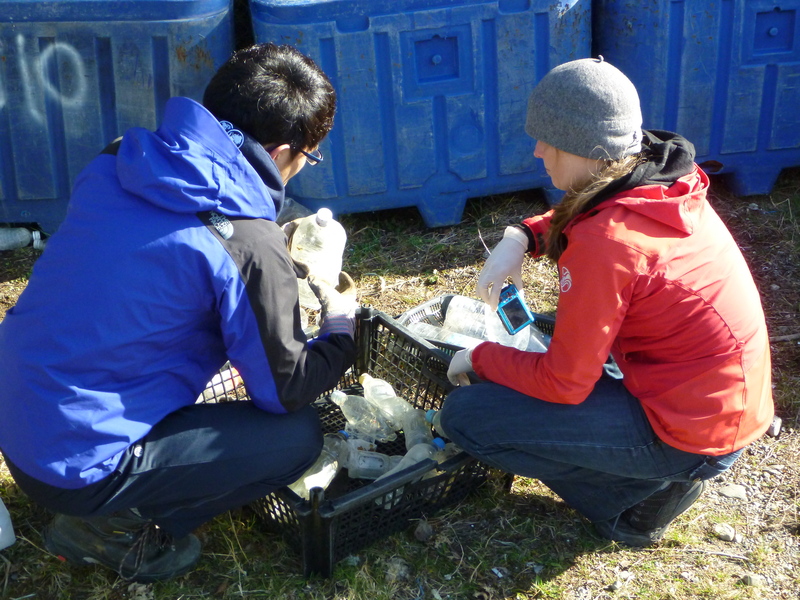 Kenta sorted through all the plastic bottles and based on the writing was able to identify several Japanese bottles and many Chinese bottles. 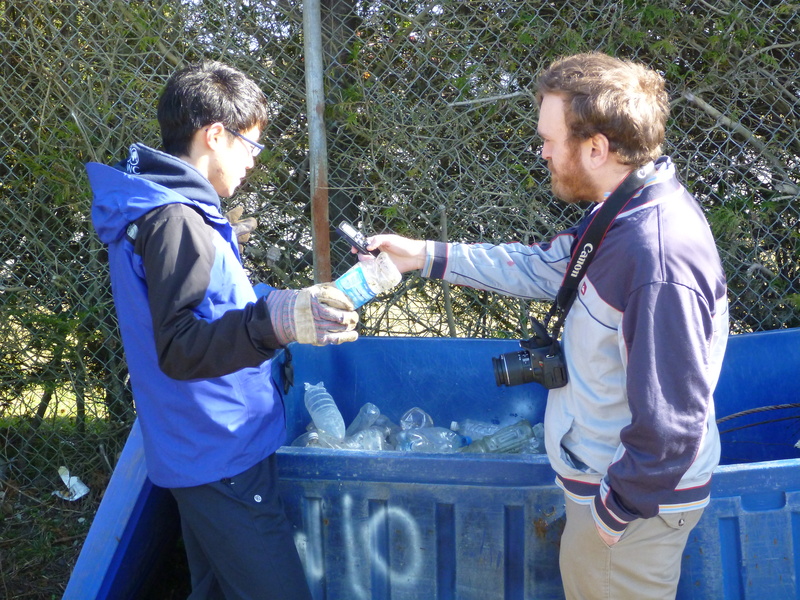 Kenta was also interviewed by Andrew Bailey, a reporter from the ‘Westerly News’. 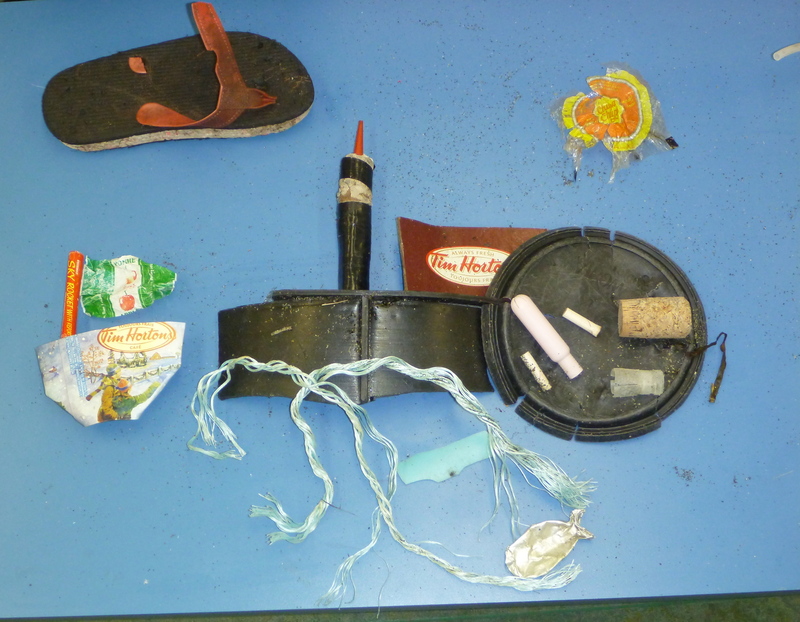 This is the result of an afternoon at the south end of Florencia Bay. 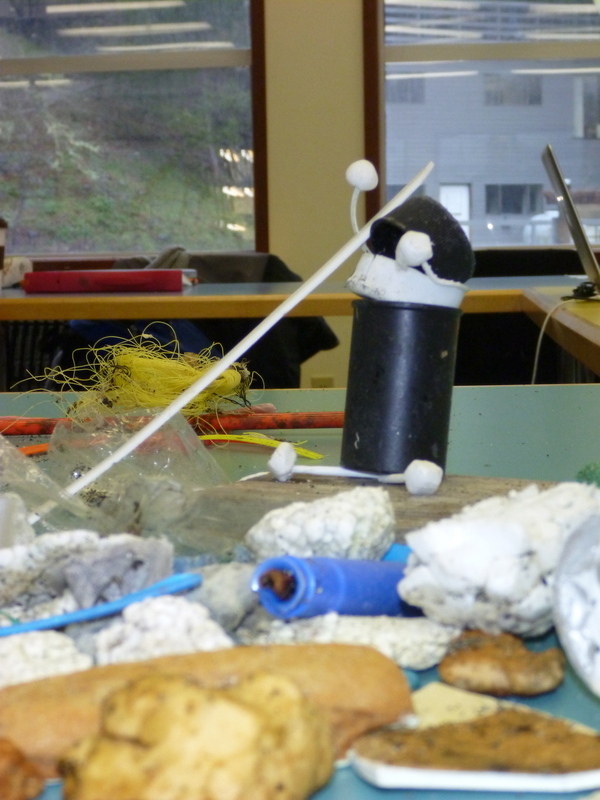 In first year Marine Science, we are currently studying oceanic circulation and the garbage patches that exist within the major oceanic gyres. 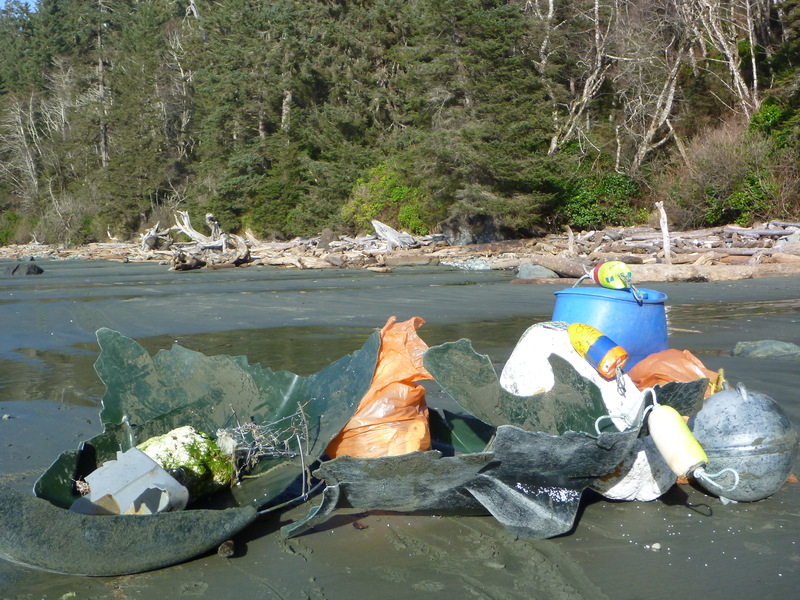 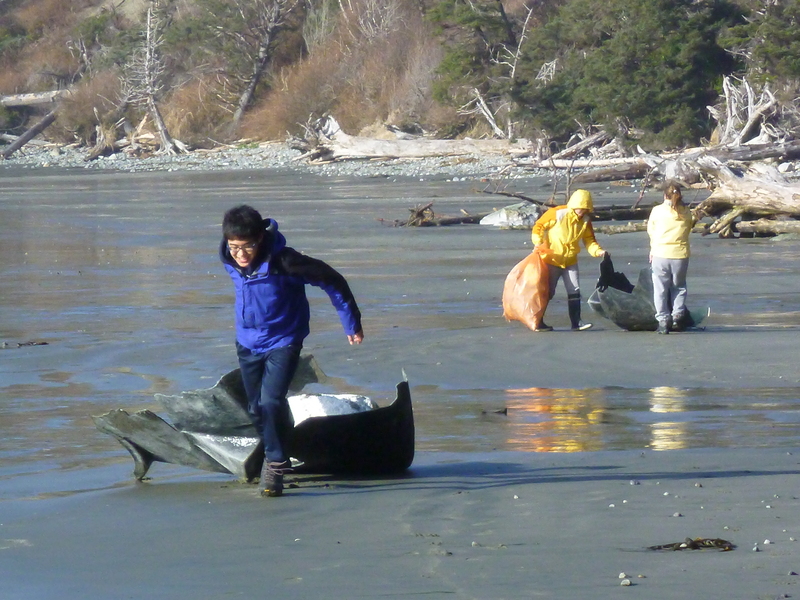 One way that we thought we could have a positive impact was by collecting garbage from a local beach and preventing it from adding to the problem in the North Pacific gyre. 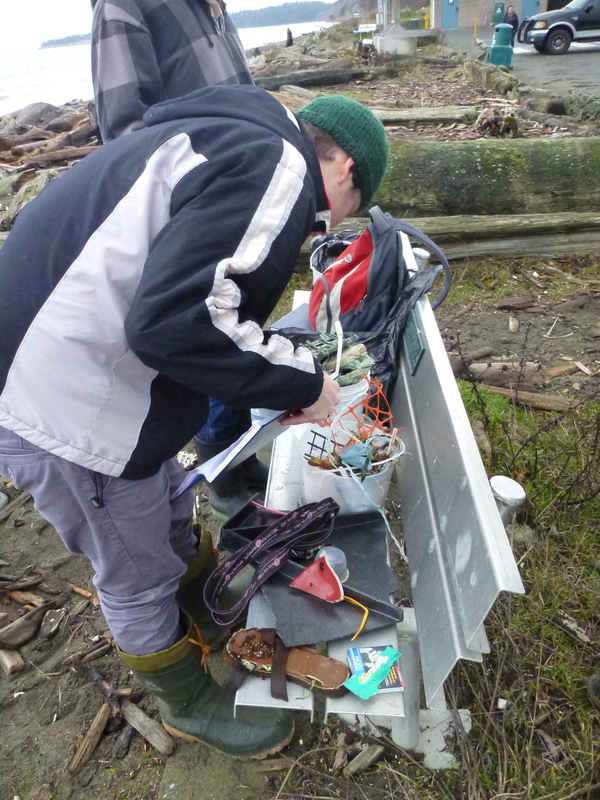 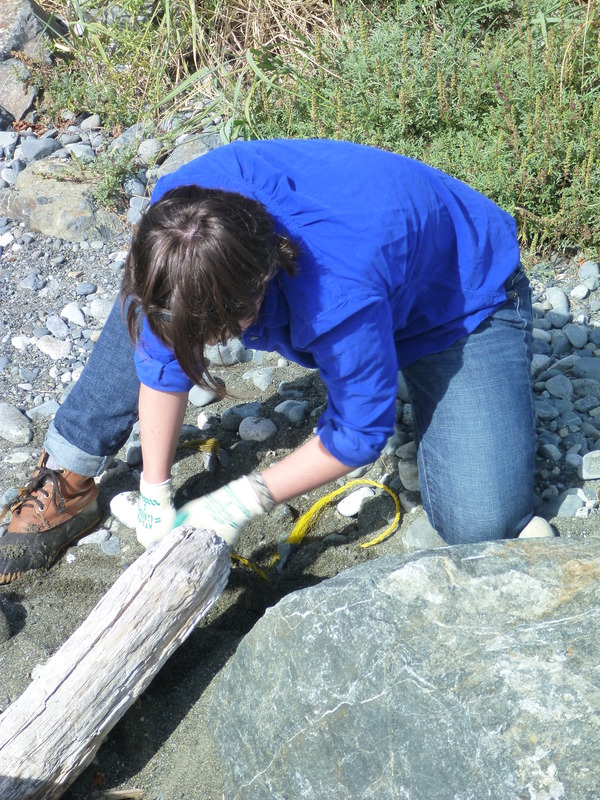 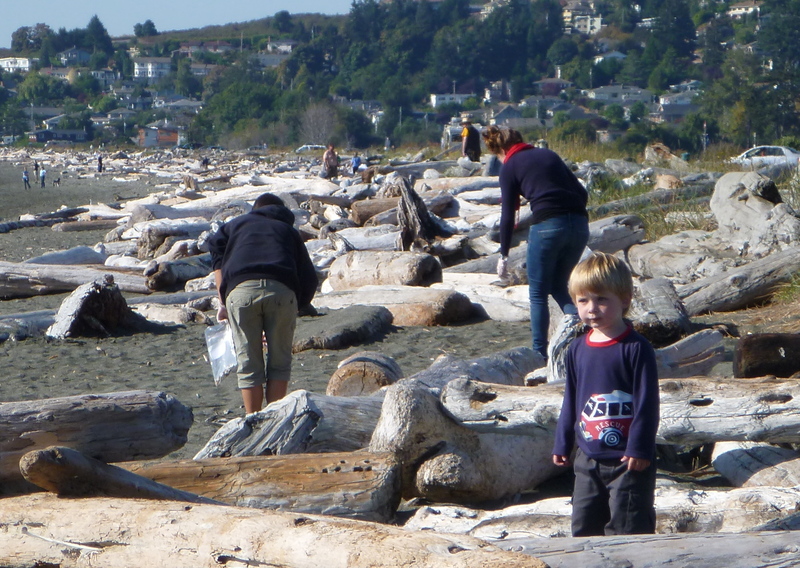 On Thursday 24 January and Friday 25 January first year marine scientists did a beach clean-up at Esquimalt Lagoon. 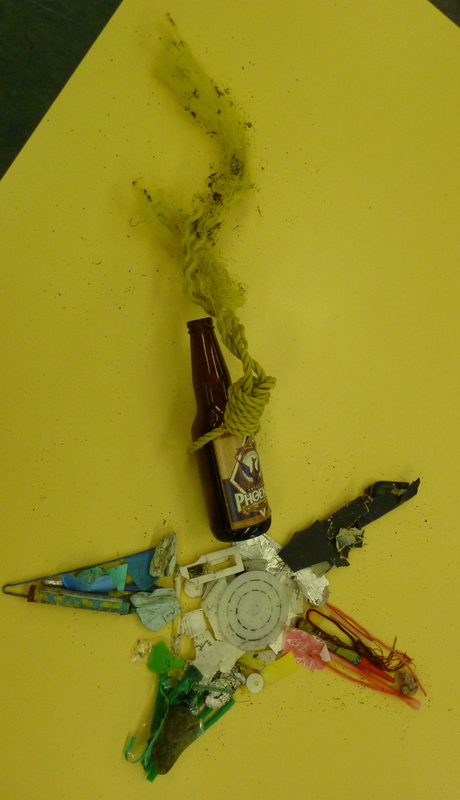 Students brought some of the garbage back to Pearson College and produced some works of art with a message. 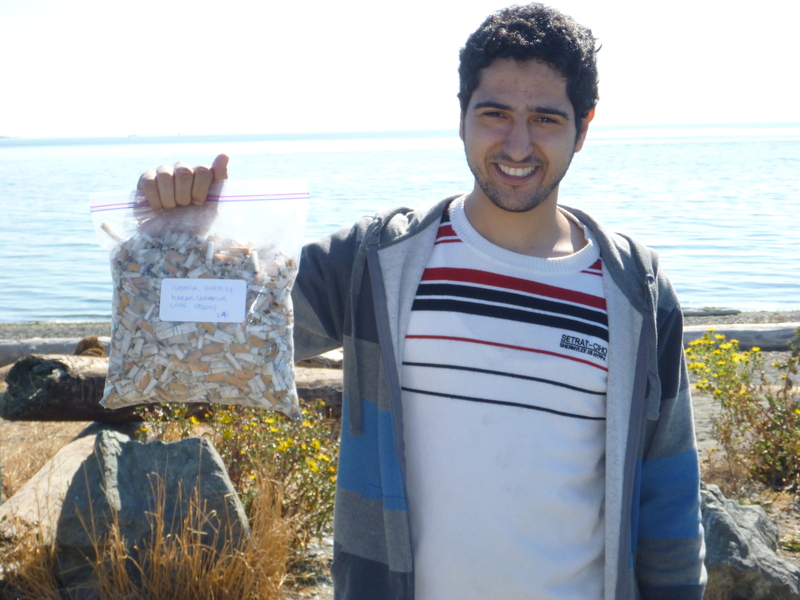 On Sunday 16 September 2012, four second year Marine Science students (Karam, Laas, Sammy & Vuochly) and Ishara (an honorary marine scientist) participated in a beach cleanup at Esquimalt Lagoon. 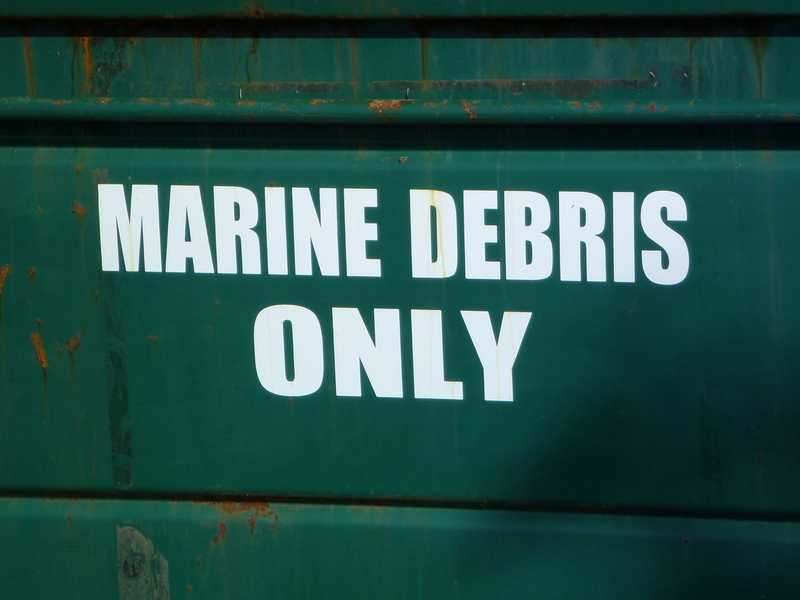 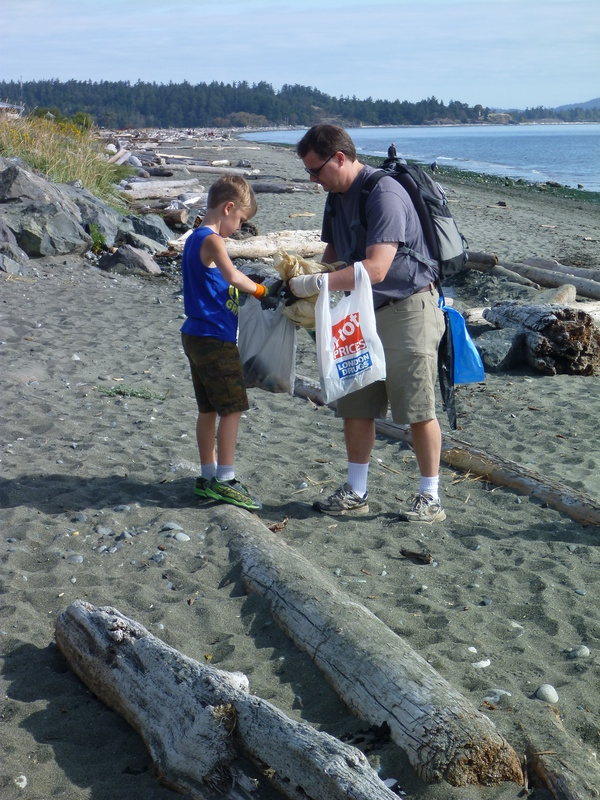 The Great Canadian Shoreline Cleanup is coordinated by the Vancouver Aquarium and the Site Coordinator for this location was the Juan De Fuca Power & Sail Squadron. 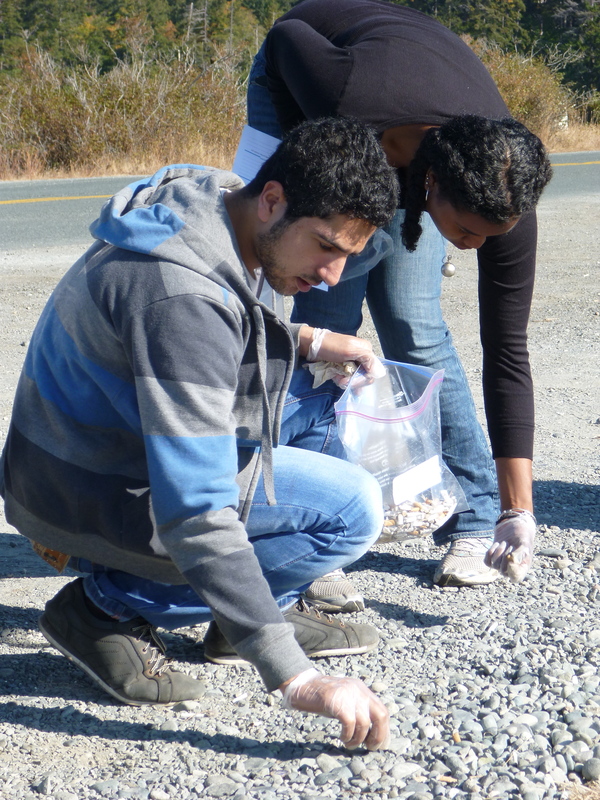 Karam, Ishara & Vuochly even won a prize for collecting over 4000 cigarette butts. 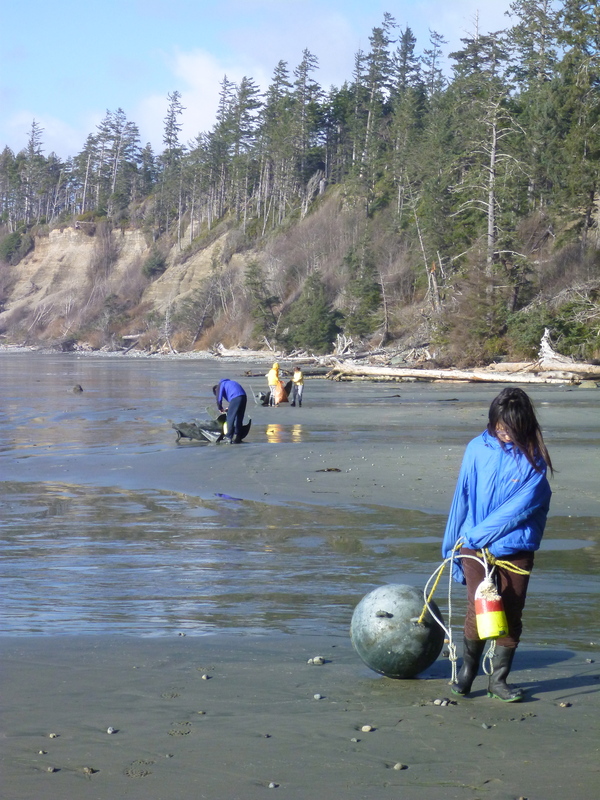 Below is the summary prepared by the the coordinator from the Juan De Fuca Power & Sail Squadron (http://www.jdfsquadron.ca/). 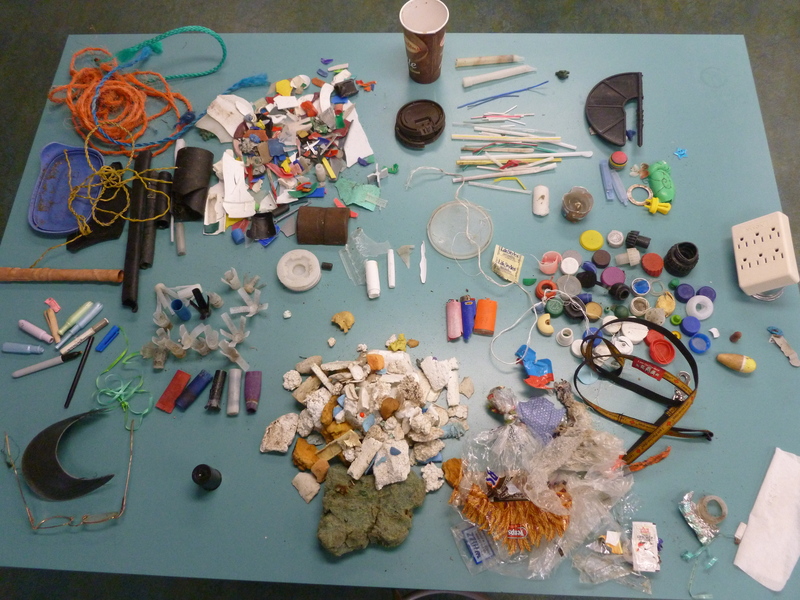 See also: http://www.shorelinecleanup.ca/ for more details about other shoreline cleanups. 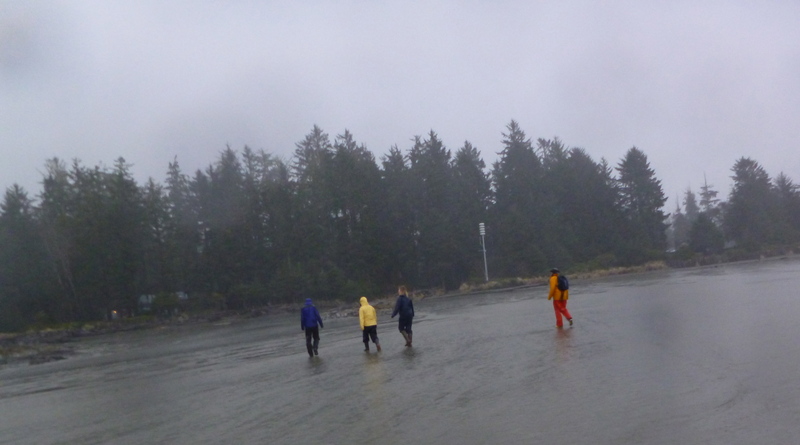 A second group of first year marine scientists braved the rain on Thursday 9 February and cleaned approximately 1 km of beach at Esquimalt Lagoon. 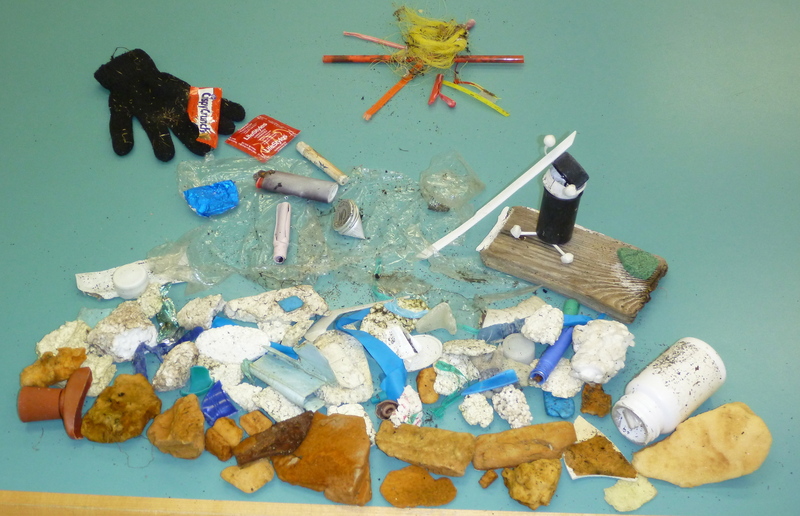 While we didn’t take any photos of the drippy students, the data collected are summarized below as well as a photo of some of the garbage collected. 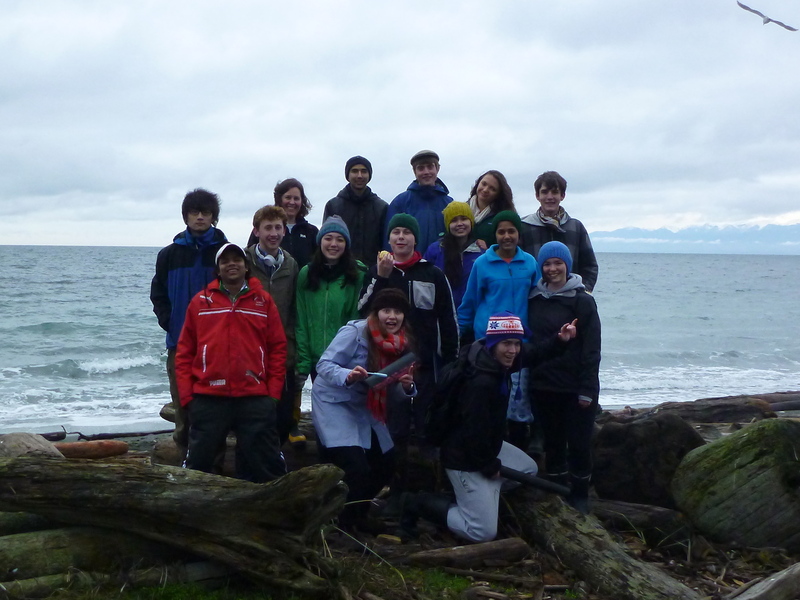 On Tuesday 7 February, first year A block marine scientists went to Esquimalt Lagoon and did a beach clean-up. 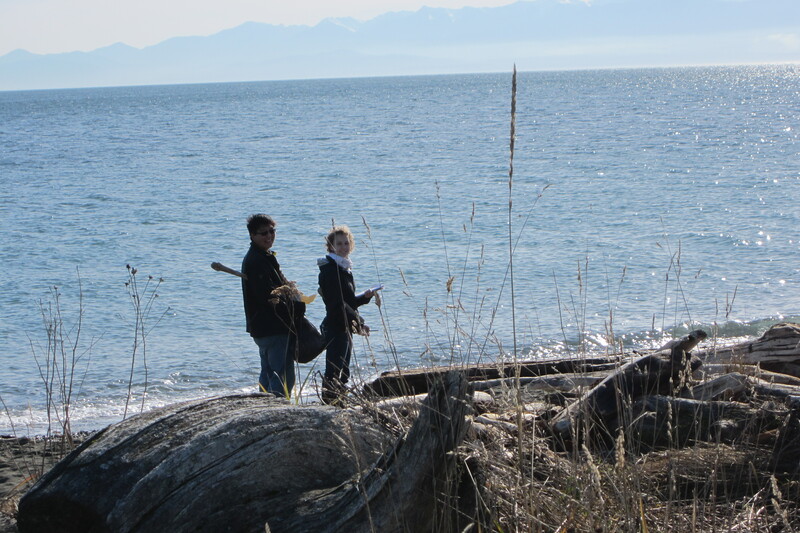 It was a beautiful sunny day, but a bit windy. 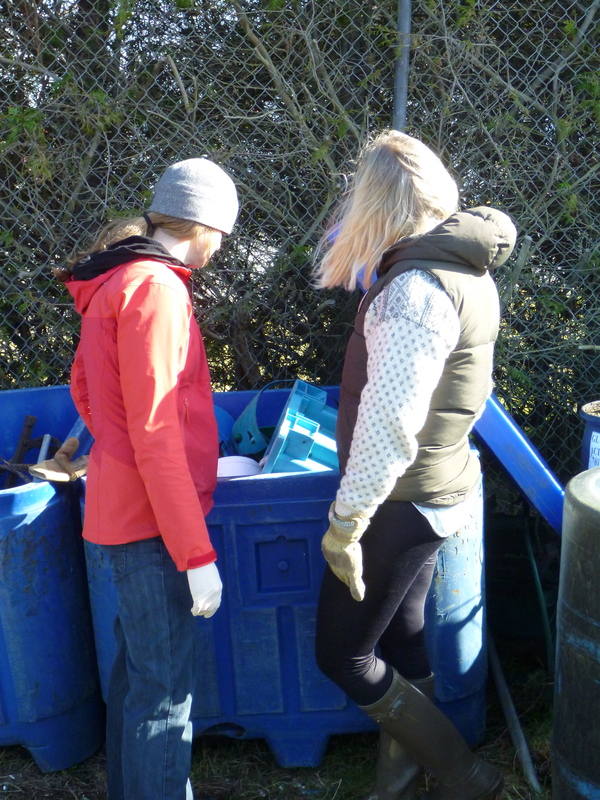 Everyone seemed to enjoy themselves though, and we performed a valuable service. 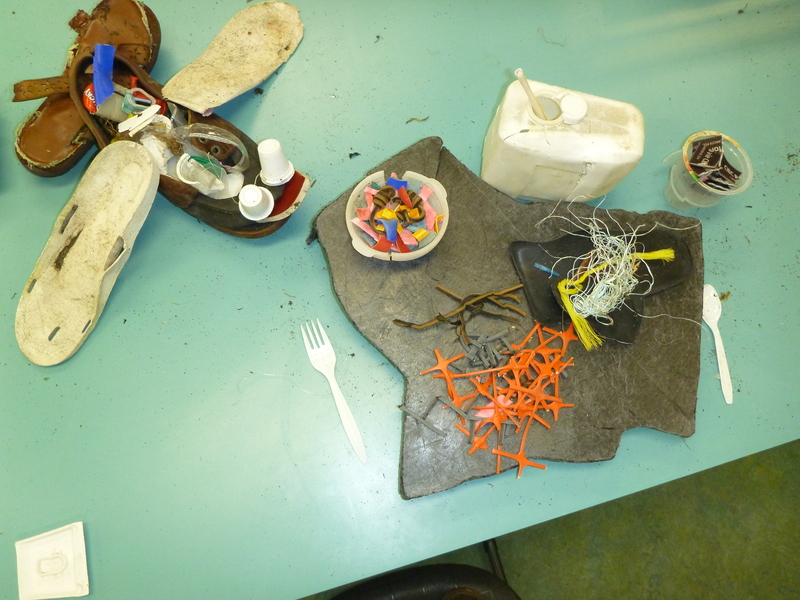 The table below contains the list of items we removed from the beach.